Calling all drivers for the Race Party Holiday Drivers Club. Calling all drivers! The Race Party’s Drivers Club is gearing up for the next school holidays. Drivers Club is a five-hour racing and activities program designed for all ages skill levels. It doesn’t matter if you’re a seasoned slot car racing pro or a complete novice, the Race Party Drivers Club suits drivers of all abilities. 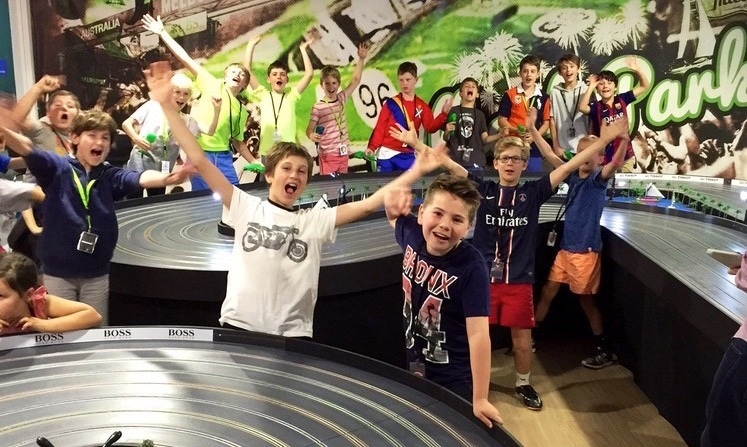 Over 5 hours drivers will engage in high speed slot car racing action and fun and interactive activities and quizzes. Hurry and make your booking, as due to track size numbers are strictly limited. For more information call us on 03 9882 1391, or to book click the button below. This is a non catered event. Guests are to bring their own (nut free) lunches. Newer PostCelebrate the positives of turning 30 at Race Party! Older PostTransformers take to the Race Party track!